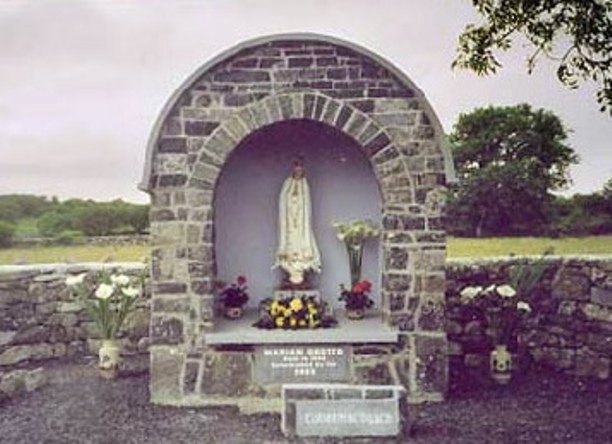 Tobermacduagh Holy Well is situated in Killeen townland in the parish of Drum .The name is ascribed to Colman-Mac-Duac, who lived at the beginning of the 7th century. (Another sister well is located in Kinvara, County Galway and is closely associated with Colman, who gave the name Kilmacduach to the diocese. He was closely related to Guaire, King of Connaught). Stations of the Cross were performed annually on Good Friday. Pilgrims came and erected tents in this area. Over 100 years ago this tradition ceased and the well fell into disrepair. 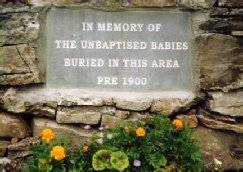 In the townland of Killeen was the site of an old Church and burial ground for the unbaptised babies. It was said that little coffins were brought in the night and the only sign that a burial had taken place was a newly made grave. This practice stopped around 1900 and cattle were let graze in the area but it was never tilled. The phrase "Children's burial ground" refers to an unconsecrated place used primarily, though not exclusively, for the burial of unbaptised children. When the Well was being refurbished it was thought to be appropriate to recognise those who lay here and erect a small memorial to them. 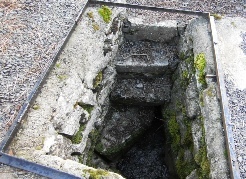 Tobermacduagh Holy Well Walk will be held on Saturday May 11th 2013 starting at Clogher Community Centre, Clogher, Claremorris, County Mayo at 10a.m. This walk is an ideal family walk along quiet country roads is approx 5.5 km in length and is relatively easy. Although the walk reaches only 41 metres at its highest point there are excellent views of the surrounding countryside. Walk will be led by Brían Hoban, Fáilte Ireland Approved Local Guide. This walk is a free event organised by Clogher Environmental Group.